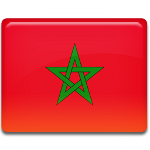 The Moroccans annually celebrate Independence Day on November 18. This public holiday was introduced to celebrate the anniversary of declaration of independence of Morocco from Spain and France in 1956. The territory of Morocco was divided between France and Spain by the Treaty of Fez in 1912. The disputes over the administration of Morocco began between these two countries as early as 1830. Morocco had an important strategic position, that France needed, and the disputes led to a war between France and Spain. The disputes were finished only by signing the Treaty of Fez, that created the French Protectorate of Morocco and the Spanish Protectorate of Morocco. France granted independence to its protectorate on March 2, 1956. Independence of the Spanish protectorate was negotiated separately and Spain granted it to its protectorate on April 7, 1956. Although Morocco became independent country in the spring of 1956, Independence Day is actually celebrated on November 18. This date was chosen to celebrate the return of Sultan Mohammed V from exile. Independence Day is one of the major holidays in Morocco. A grand reception is organized at the palace of the King of Morocco. People enjoy colorful street parades and festivals.